The Sackler family behind Purdue Pharma knew that their painkiller OxyContin was causing overdoses, yet continued to cash in as deaths mounted, the Massachusetts attorney general alleges in court documents filed Tuesday. In a new 274-page memorandum, Attorney General Maura Healey details a chain of command that she alleges implicates eight Sackler family members, as well as nine Purdue board members or executives, in the nation's deadly opioid epidemic. An earlier version of the memo, filed on Dec. 21, was more than half redacted, after Purdue Pharma argued to withhold information about the Sacklers, one of the richest families in the United States. Some sections remain blacked-out in Tuesday's filing. The new memo spells out Healey's allegations that the Sacklers flooded Massachusetts with sales reps, influenced state legislation, and financially backed medical facilities and universities so they could tout Purdue opioids. Healey describes former Purdue Chairman and President Richard Sackler as a micro-manager, obsessed with profits in Massachusetts and the rest of the country. Tracking national sales, Sackler demanded he travel to doctor’s offices alongside reps and complained advertising about the opioids wasn’t as positive as he wanted. Internally, execs worried about Sackler’s promotion of opioids, according to Healey. That year Massachusetts sales reps pushed doctors to prescribe Purdue Pharma's opioids more than 1,000 times to elderly patients with arthritis, the memo says. But Sackler wanted more. One sales rep was ordered to increase prescriptions by 62 percent in Massachusetts. Purdue also threatened to fire two reps in Massachusetts because the physicians they visited hadn’t written enough opioid prescriptions, Healey says. The sales manager agreed in an email, stating they should fire Massachusetts sales reps who weren’t increasing their opioid prescriptions. Gasdia allegedly agreed that firing all the reps would "send a message." It’s unclear if they fired anyone. In a statement to WBUR, Purdue Pharma claims that Healey is trying to "vilify a single manufacturer whose medicines represent less than 2 percent of opioid pain prescriptions rather than doing the hard work of trying to solve a complex public health crisis." 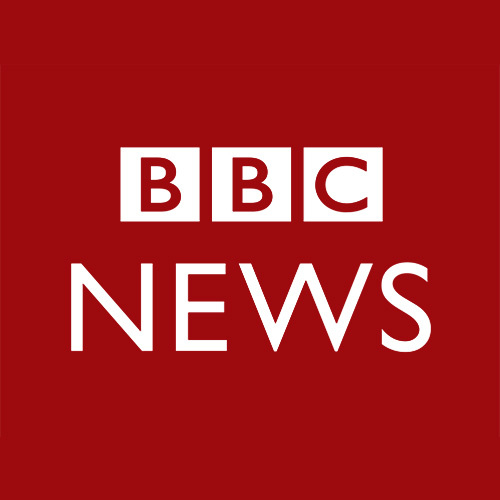 The company, which is based in Stamford, Connecticut, adds that "the complaint distorts critical facts and cynically conflates prescription opioid medications with illegal heroin and fentanyl, which are the leading cause of overdose deaths in Massachusetts." The AG's complaint includes a map of Massachusetts with areas of the state Purdue allegedly targeted during a rapid period of sales workforce expansion: Boston, southeastern Massachusetts and Cape Cod. Sales reps visited primary care doctors considered ripe for influence. In a few cases these were daily visits. Purdue staff warned its board that a New Bedford doctor and Brookfield doctor had prescribed opioids inappropriately, according to the memo, but no one in the company immediately reported it to medical licensing officials. The two doctors made Purdue Pharma $823,000 combined in two years. The two physicians and several others, who became Purdue's most frequent prescribers in Massachusetts, eventually lost their licenses but not before authorizing hundreds of thousands of pills each. At least three of the physicians lost patients to an overdose death. In 2013, according to the memorandum, staff told the Sacklers that drug overdose deaths had tripled since 1990, while OxyContin had become the top-selling painkiller in the country. Purdue counters in its statement that Healey "has cherry-picked from among tens of millions of emails and other business documents produced by Purdue." In the memo, Healey lists Purdue or Sackler family investments and influence in Massachusetts, including a Purdue pain program at Massachusetts General Hospital and the Sackler School of Graduate Biomedical Sciences at Tufts University. After Purdue Pharma donated $3 million to MGH in 2002, the hospital named its pain center after the company. The hospital's plan included seminars designed by Purdue to increase OxyContin prescriptions. MGH dropped Purdue Pharma’s name from the pain center after a nationwide spike in crime was attributed to those addicted to the medication. 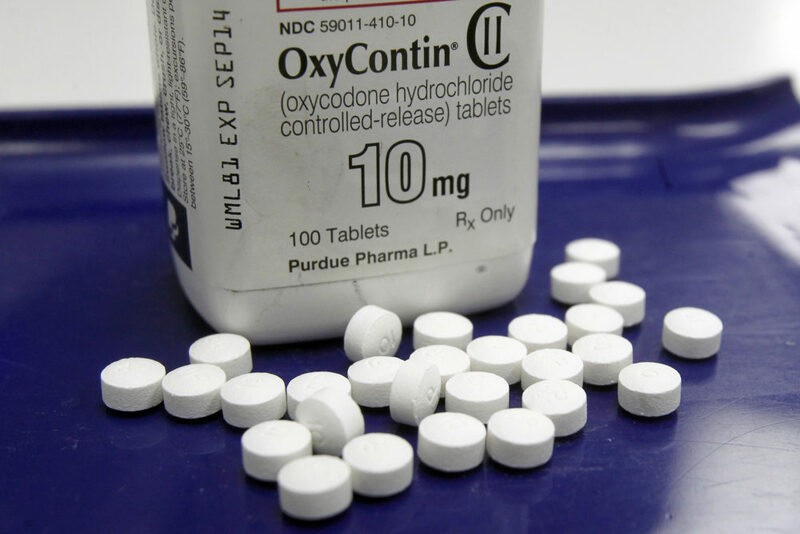 In 2007, Purdue Pharma and three of its top executives were criminally charged in the federal Western District of Virginia with intentionally deceiving doctors about OxyContin. The company's then-president, lawyer and chief medical officer pleaded guilty to a felony and Purdue Pharma paid $600 million in fines for misleading the public about the addictive qualities of the medication. While individuals of the Sackler family weren’t charged, as board members they admitted the company encouraged physicians to overprescribe OxyContin. In a separate suit, Purdue Pharma also paid 26 states, including Massachusetts, a total of $19.5 million. In a 2007 press release, Purdue Pharma stated: "During the past six years, we have implemented changes to our internal training, compliance and monitoring systems that seek to assure that similar events do not occur again." Healey alleges Purdue Pharma and the Sackler family never stopped the deception, leading to hundreds of overdose deaths. The company double-downed its efforts in Massachusetts, sending even more sales reps to meet with doctors, nurses and pharmacists to pressure them to prescribe even more OxyContin, she alleges. In May 2007 — immediately after the 2007 convictions — then-CEO John Stewart began planning to expand Purdue’s sales force in Massachusetts and across the country. Even though Purdue sales reps were already visiting Massachusetts prescribers more than 1,000 times each month, executives worked to quantify the “market impact” that adding sales reps would have. Purdue focused on Tufts University. It declined to comment to WBUR. The memo states Purdue believed the marketing benefits the Sacklers reaped from Tufts were so great that they offered to send Stewart to Massachusetts to sustain the courtship. Healey also alleges that Purdue executives promoted opioids to clinicians, fellows and medical residents in Massachusetts at a presentation at Tufts in 2008. The complaint says "convincing Massachusetts doctors that Purdue opioids were the best way to manage chronic pain" was part of its scheme. It also states that, in 2013, Purdue staff claimed they defeated Massachusetts legislation to restrict OxyContin. 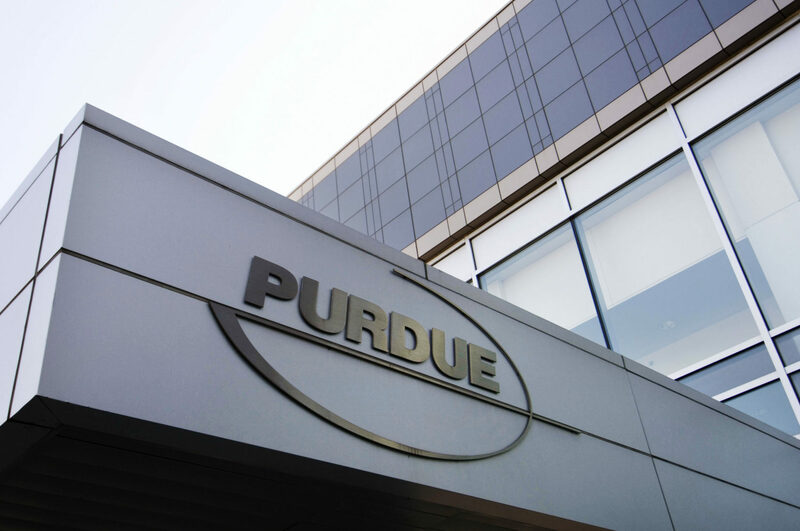 In the past 11 years Purdue sales representatives visited Massachusetts prescribers and pharmacists more than 150,000 times, the memo alleges. In June, Massachusetts was the first state — followed in October by Suffolk County, New York — to file a lawsuit that names individual members of the Sackler family. A status hearing is scheduled for Jan. 25 in Massachusetts' Suffolk County Superior Court.